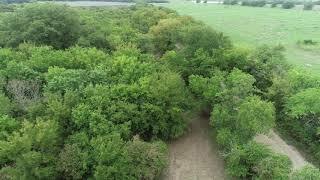 Small acreage with over 1500&apos; of frontage on the beautiful, rock bottom Richland Creek. Heavy tree cover with lots of mature hardwoods offers seclusion for recreational use or a potential homesite. Some restrictions to be put in place prior to closing. From Milford: Take FM 308 South toward Mertens for 2.7 miles. Turn right onto Brannon Road. Where the road curves left, property is on the left.